If the reader is interested in knowledge about the inner workings of the radical right back in the fifties or sixties, then this is a useful book. But as far as relating that group to the murder of JFK, it is simply a dud. And a pretentious, bombastic, overlong and tedious dud at that. In this reviewer’s opinion, it is the worst book on the JFK case since Ultimate Sacrifice, concludes Jim DiEugenio. Jim DiEugenio commemorates the important contributions made by Bill Turner to the study of the JFK and RFK cases and his role during Garrison's investigation. We all owe thanks to Paris Flammonde for sailing against the current. He didn't care about being "respectable." He understood that, with the MSM, there really was no such thing as being respectable on the JFK case. For the simple reason that they had prostituted themselves on the subject in every way, and from the very start, writes Jim DiEugenio. On Jim Fetzer's podcast and Hankey's deleted postings. 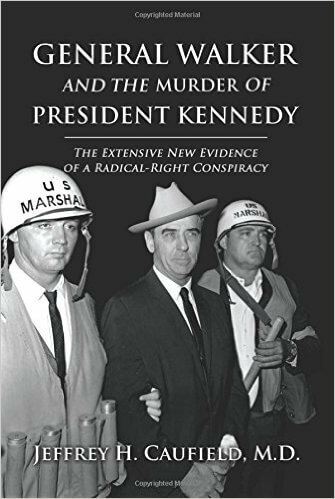 Jim DiEugenio writes of how the author of what was a good book on the JFK case when it first came out has subsequently held less tenable views of both John Kennedy and his assassination, and how he blindly jettisons Garrison's achievements.